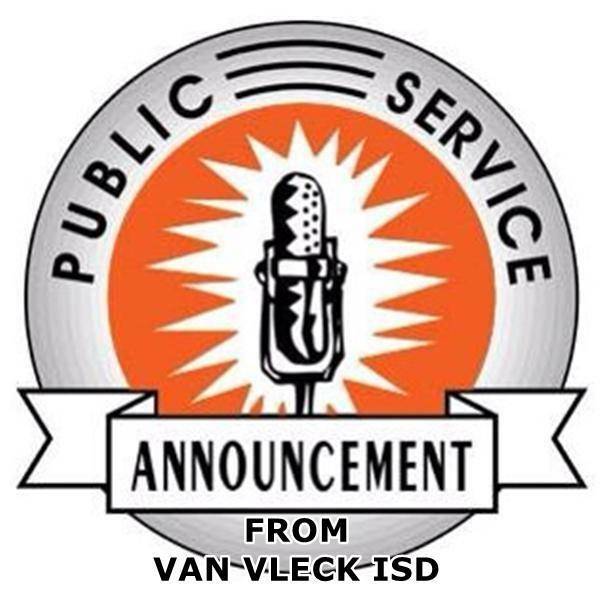 Van Vleck ISD will be closed August 28, 2017 – Sept. 1, 2017. Monday night’s Special Board Meeting to set our tax rate and budget is also cancelled. Due to the severity of TS Harvey, flooding and mandatory evacuation of Matagorda County a decision has been made to delay the start of school for the safety of our students, parents, and staff members. A decision on school starting will be made before or on Monday, Sept. 4, 2017.